Shopping for a bone densitometer? We thought you might be, what with you clicking your way into this blog and all. We also know that finding the information you need to build your budget can be far easier said than done. That's why we've compiled current pricing ranges for refurbished DEXA bone units made by the two major players in the field: GE and Hologic. Ready for a more detailed quote? 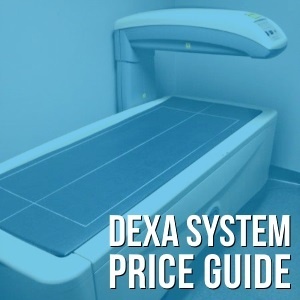 Click here to request DEXA system pricing. The prices covered in this blog are average ranges on the current market. If you'd like to know more precisely where your specific future system might fall within these ranges, we'd like to help. You can request a quote for bone densitometers below or you can begin the process of selling your used bone densitometer here. Either way, we are happy to answer your questions and point you towards more valuable bone densitometer resources.